A few months back, I got an email asking if I'd be willing to be a guest designer for Color My Heart. It took me less than a second to say yes. I love the ladies at CMH. They were the first ones to allow me to be part of design team, and I owe them a huge debt of gratitude. This week, the color scheme is Lagoon, Sorbet, and Smoothie. The retro colors pair perfectly with the retro feel of this month's special promotional set, "Share the Love." I have three cards to show you. This first one sticks to the CMH color scheme. As an author, I love typewriters. If I didn't have to pick up and move every few years, I might succumb to temptation and start a collection. For now, I'll settle for cute stamps and die cuts. I did quite a bit of fussy cutting to get the multicolored telephone, camera, and typewriter, but I also did a lot of fussy cutting of the stamps themselves. "Share the Love" comes as a set of thirteen stamps. When I was done cutting, I had seventeen. I made separate images for everything that was inside a circle, whether it was a word bubble or camera flash. Once I had the cards done, they seemed too flat. Liquid glass to the rescue!! It takes a steady hand and the patience of Job to let everything dry without touching, but I love how all my focal images shine. A huge thanks to Color My Heart for letting me play along. An even bigger thanks for letting me choose this week so I could promote my latest release, The Cowboy's Bride Collection. Last I looked, Amazon was selling it for almost half price. And, if you like a party, come join all nine authors on Facebook for our Release Party where we'll be giving away a Kindle Fire and several gift cards. Hope to see y'all there! It's probably not a big surprise to any of you that I glean inspiration from a huge number of paper crafting blogs. I've been noticing a trend lately where a top panel is given a fun edge before mounted over top of a card base. Initially, I thought of buying some of the die cuts to recreate the looks, but then I said to myself, "Wait! Can't you recreate the same look with the CTMH Artistry cartridge?" "Why, I believe I can," I answered myself. "Okay, self. Let's see what we can do." I used the "Joy" sentiment that shows up on p. 48 of the Artistry booklet, ungrouped it and deleted the "Joy" image leaving only the background panel. I unlocked this image and edited it to 4.25x6.5 inches. I cut it in "Charlotte" paper then used my paper trimmer to cut one edge off giving me two decorative edges to play with. I have a few minutes before I need to call my writing partner to brainstorm, so here's a quick card I made this morning for both Mojo Monday: #436 and Heart2Heart: Party Animals. I used all CTMH products, although the Confetti Wishes paper for the striped banner is retired. The balloons were cut with Artiste, and the stamp sets are "Packages, Boxes, & Tags" plus "Balloon Animals" which is the February Stamp of the Month. The idea to stamp the dots on the balloons comes from a Stampin' Up! set. I love taking ideas and using products I already have to recreate them. Now back to my day job! In order to get the overlay and rectangle to weld like I wanted, I had to "unlock" the images so I could stretch them. I began with the rectangle and edited it to be 4.25" W x 5.5" H. The border ended up being too thick, so I copied and pasted the frame, sized it down, then used the "slice" feature to cut the two images. I then unlocked the flower image and manually stretched it enough to get a few places on the top and bottom to touch the inside of the rectangle. Once everything fit, I hit "Select All" then right clicked and chose "Weld" from the drop down menu. If you own both Art Philosophy and Artistry, here's the file so you can download everything you need to recreate this (including the accent flower). If you aren't familiar with the "slice" and "weld" feature on your machine, I encourage you to go to the Cricut tutorials on their website. Once you've know how to use them, these features give you incredible artistic freedom. I sponged the background in colors for this week's Color My Heart dare: Honey, Pear, and Cranberry, glued my welded flower and rectangle piece over top, and added a banner stamped with the line and a sentiment from a stamp set called "Packages, Boxes, & Tags." It felt like it needed something more, so I cut a double layer flower from Artistry both in white, sponged the background flower, and added them to the banner. Again, something felt off, so I sponged a leftover bit of paper with more Cranberry, punched it out, and added a center to the flower. That grounded it so it wasn't "floating" and made the card feel finished. I'm pretty excited about how this turned out. I can see myself using this overlay for all kinds of cards and get a different look by varying the colors and intensity of the background sponging. My mother is turning 80 next month, so I wanted to make her an extra special birthday card. I pulled out an old, wood-mounted stamp from CTMH called Paris Floral because it's one of my all-time favorites. Old and a favorite. Sounded like a good combo for Mom. I recently took a water coloring class and learned this nifty trick...use lots of water. I know, right? I also learned not to stress when colors bleed into one another. For this perfectionistic soul, that's tough. My favorite part of this card is the sewing. Mom used to teach Home-Ec, so it felt like I was personalizing it just for her. Now...shhh, don't tell her that I plan to hand-deliver it. I'll be flying in for the surprise celebration then head out to help my son for about a month so that, when I turn 80, he has as many fond memories of me as I have of my mom. My younger brother is turning...never mind. Old enough that we both remember view finder toys and cameras that required film. I wanted to make him a "manly" card and participate in the dual challenges of "Share the Love" at Heart2Heart and the color scheme from Color My Heart. This card uses a bunch of old and new CTMH products as well as some Washi tape I got from someplace like Hobby Lobby or Michaels. I really like how this turned out. I hope it takes my brother on a trip down memory lane--you know, while he's still young enough to have his memory. Some songs stick in your head. "Always and Forever" is one of them. It first released when I was in jr. high, and it played at every dance from then until I graduated from high school. 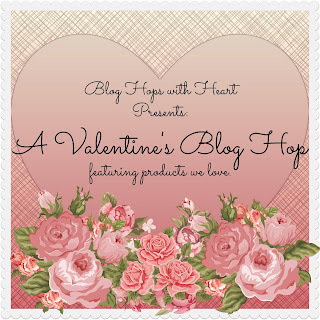 So I decided to make it the theme for my Valentine for this month's Blog Hops with Heart. I used the Art Philosophy Cricut Cartridge to cut two tags, one white and one Ruby, as well as the ampersand symbol. The stamped words come from a set called "Finding the Words." Thick twine in Poppy was deepened by coloring it with a Copic marker. (Note: you might want to skip this step if you have plans for the evening and don't want people to think you're a serial killer.) While it was drying, I pierced the white tag using the Stitch Guide. I wasn't terribly happy with how it turned "always" messy, so here's an alternative for those of you who are a little, um...obsessive like me. I used the Keyboard Alphabet to create "NOW" and mounted it on a layer of foam tape. It might not make the song start playing in your head, but it conveys the same feeling. This goes to the...Best. Husband. Ever! You should have come from Kelly's blog, and now your off to see what Stephanie has created. Both are fabulous, so don't miss them. And keep going until you get back to where you started on this circular hop. Too much goodness to miss a thing! 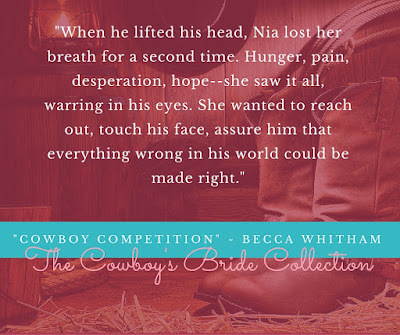 Just a little reminder that my Wednesday posts about writing are over on my author page. Today I'm talking about "cow tailing" as a rodeo event. You can link by clicking here, or on the link under my header picture. Hope you come see what all the fuss is about! Love is in the air...and on my typewriter! I recently busted my crafting fast wide open and purchased the new "Artistry" Cricut cartridge from Close to My Heart along with a few other yummies. The four layer typewriter is my new favorite thing, and I'll be using it a ton. 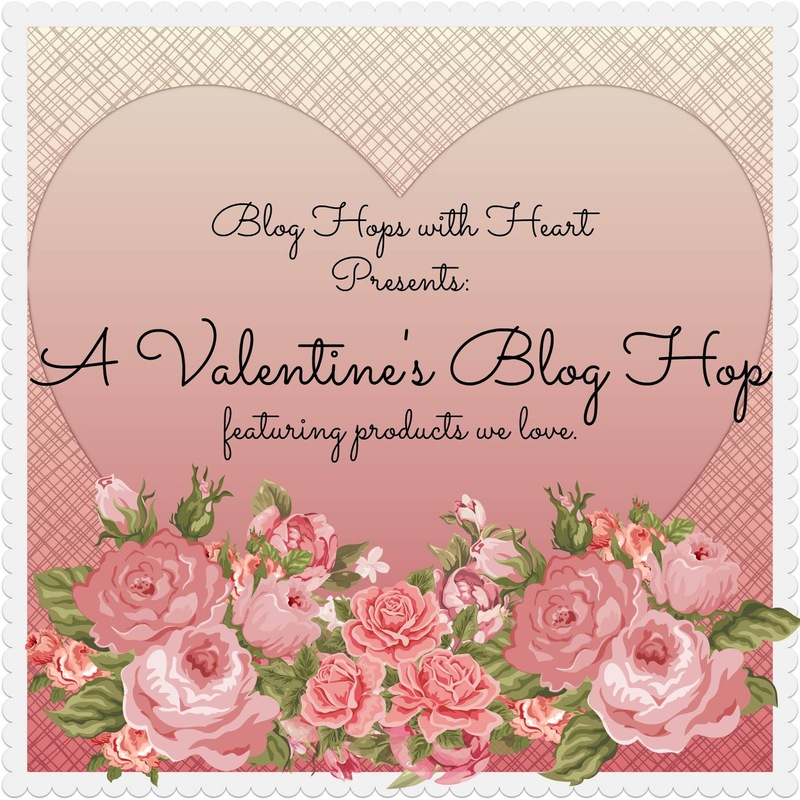 Today, I'm using it for the current challenge over at CAS on Sunday: Valentines. I wanted the background to have a little something to make the white paper stand out, so I used a panel of watercolor paper, swiped Tim Holtz Spun Sugar Distress Stain over the back, and faded out the edges by feathering them with a paint brush. The sentiment is from a retired CTMH set called "Typed Note." Let me tell you what else I'm in love with...the German carbide blade for my Cricut. I've had so much trouble with fine cuts, but this new blade is the BOMB! I'll be ordering a multi-pack because I never want to be without one again. Nothing like new stuff to get your creative juices going. Let's hope it stimulates the actual typewriter (aka, laptop) so I can meet some writing deadlines after being down a couple weeks with shingles. The flower was cut with a file that's free on Cricut Design Space (for my Explore) right now. I cut it in Sorbet and Black, sponged the flower edges with Sorbet ink, and used some Slate Velvet Rub-ons left over from a CTMH Workshop I ordered years ago. The leaves are from a stamp set called "Shower Flowers" stamped in Slate. The background panel is actually from the paper designed to be used for Picture My Life. After I had the card assembled, the touch of gold in the ribbon felt out of place because I didn't have gold anywhere else so I added the two large gold sequins. I'm entering it in this week's Color My Heart challenge: White, Black, Whisper, Slate, Sorbet, and Champagne. I love how this turned out so I'll be making a few more for my stash. There's something both fresh and gentle about the color scheme that makes it perfect to extend sympathy.